Puncak Jaya (Malay: [ˈpuntʃaʔ ˈdʒaja]) or Carstensz Pyramid (4,884 m) is the highest summit of Mount Jayawijaya or Mount Carstensz /ˈkɑːrstəns/ in the Sudirman Range of the western central highlands of Papua Province, Indonesia (within Puncak Jaya Regency). 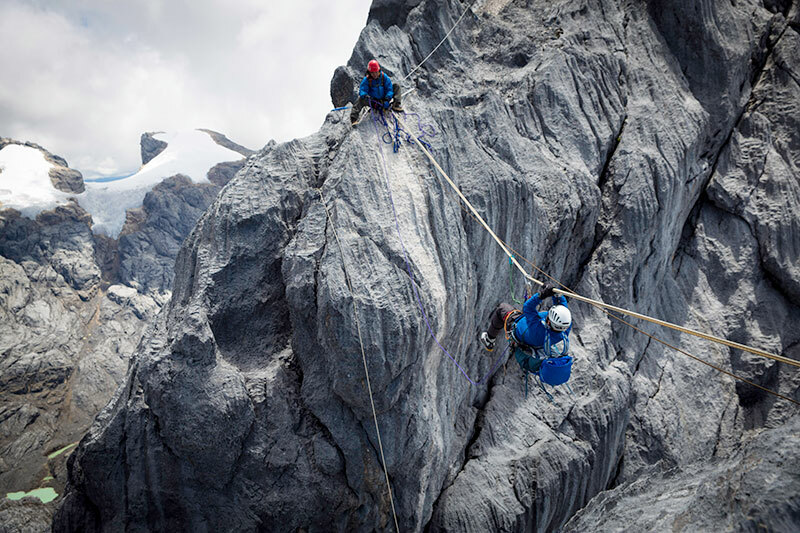 Other summits are East Carstensz Peak (4,808 m), Sumantri (4,870 m) and Ngga Pulu (4,863 m). Other names include Nemangkawi in the Amungkal language, Carstensz Toppen and Gunung Soekarno. At 4,884 metres (16,024 ft) above sea level, Puncak Jaya is the highest mountain in Indonesia, on the island of New Guinea (which consists of the Indonesian West Papua region plus Papua New Guinea), on the continent of Australia (which consists of New Guinea, the country of Australia, Timor, other islands, and submerged continental shelf), and in Oceania, as well as the 5th highest mountain in political Southeast Asia. It is also the highest point between the Himalayas and the Andes, and the highest island peak in the world. Some sources claim Papua New Guinea's Mount Wilhelm, 4,509 m (14,793 ft), as the highest mountain peak in Oceania, on account of Indonesia being part of Asia (Southeast Asia). The massive, open Grasberg mine is within 4 kilometers of Puncak Jaya. Meet your arrival at Timika Papua Airport. Transfer to hotel for stay. Prepare a private flight to Ilaga village. It took 30 minutes from Timika to Ilaga. Followed by motorbike to local resident's house. Continued Overnight at local house. Continue to enter Ilaga Village with our local guide and porters. Continued Overnight at Kamah Camp. Continue to New Zealand Pass. Then return to Carstensz Base Camp. Or we can use it to climb Ngga Pulu / Puncak Jaya. Proceed to Overnight at Camp Nasidome. Proceed to Overnight at Camp Kuruonikime. Continue to Timika with regular flights. Alcoholic beverages, laundry, telephone and other personal expense. Personal clothing and climbing equipment.